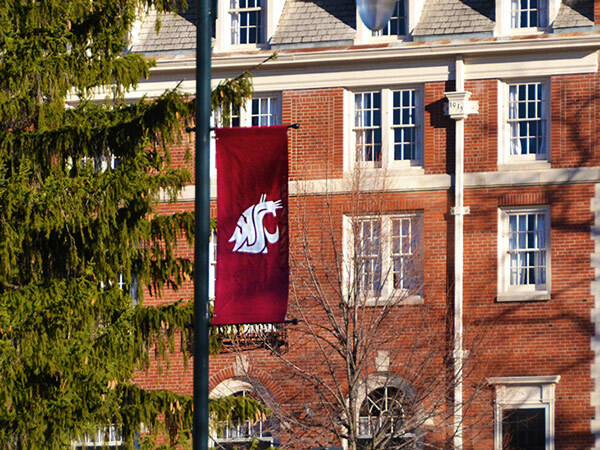 Thirty members of the Campus Mental Health Collaborative, including students, staff, and faculty, met last month with an expert from The JED Foundation to begin developing a comprehensive plan for suicide prevention and mental health promotion for WSU Pullman students. The JED Foundation representative opened the meeting with the foundational recommendation that supporting students’ emotional well-being needs to be a campus-wide effort. From high-level administrators to part-time employees, we can all play critical roles in suicide prevention and mental health promotion efforts. Specifically, we need to support efforts that allow for early detection and effective intervention when a student is struggling. Campus policies. Policies help establish norms, build awareness, and improve the quality of health services available to students. Life skills development. Developing strong life skills helps students cope with stress. Some critical areas include managing friendships and relationships, problem solving, decision-making, identifying and managing emotions, healthy living, and understanding identity. Connectedness. Research shows loneliness and isolation are significant risk factors for mental health problems and/or suicidal behavior. Students who feel connected to campus and have support from friends and family are better equipped to handle the stresses of college life. Academic performance. Mental health is closely tied to academic performance, and the impact goes both ways. Stress from school can affect students’ mental health, and mental health issues can affect academic performance. Student wellness. It’s important for students to understand how overall wellness, mental health, and academic performance are interrelated. Identify students at risk. Studies show many college students who need help do not seek it out on their own. Increase help-seeking behavior. Students are often unaware of the mental health resources available to them, feel unsure about insurance coverage and costs, or face some other barrier to seeking help. Provide mental health and substance use disorder services. Offering high-quality mental health services is critical for preventing substance abuse among students and improving academic success. Means restriction and environmental safety. Removing or limiting means to self-harm can help prevent suicide and improve student safety. As a next step, the collaborative will identify priority action areas. Subscribe to our mailing list for updates.